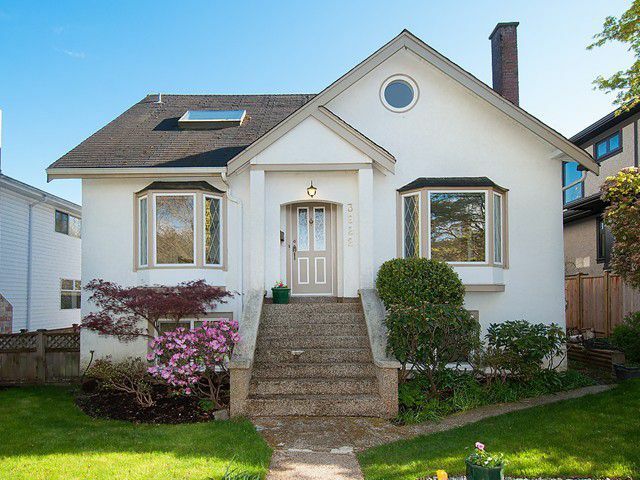 Traditional style family home close to St. Georges school, Dunbar shops & Pacific Spirit Park. Quiet location and a 50 x 130' sunny south facing property well maintained by long term owners. Newer kitchen and family room with SS appliances,granite counters and sliding glass doors to large grape vine clad sundeck. Oak hardwood floors, Cross hall Living / dining rooms, leaded glass & bay windows. Four bedrooms upstairs with skylights and full bath. Developed lower level offers a 5th bedroom as well as inlaw accommodation. 3 car garage.